As a run up to it-sa India 2018- India’s IT Security Expo & Conference, an exclusive board-room discussion was organized in Mumbai on 17th January 2018. 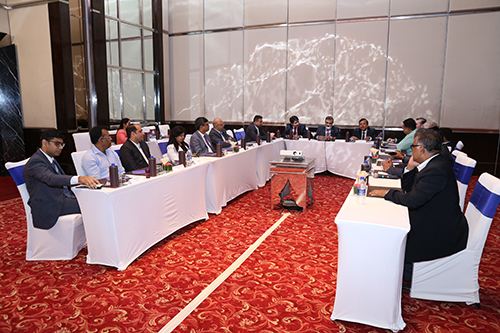 Attended by the most respected and senior batch of CISOs, CEOs, Directors- IT, from the BFSI, Telecom and Manufacturing sectors, the round-table addressed the topic of ‘’ Future of Security in the Rapidly Evolving Technology Environment’’. The eminent group discussed about the emerging technologies, challenges that they provide and how they need to be secured to protect organizational brand, reputation and customer confidence. The meet captured the discussion points to develop a white paper which speaks the minds of the best cyber security professionals within the industry and shall pave the way for collaboration in creating a secure platform to exploit emerging technologies.